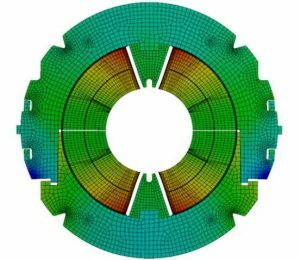 Acquire the basic skills necessary to make effective use of the world’s most intuitive and powerful interface for performing Finite Element Analysis (FEA). Learn and apply complete solution procedures for structural, modal, and thermal analysis. Explore the product performance envelope by quickly defining and solving multiple design scenarios. Designers, engineers, managers and directors who have not had any previous training on ANSYS Mechanical. A background (or basic understanding) of structural mechanics is recommended for any attendees on this course. £790, including lunch and refreshments. Each course chapter is followed by “hands-on” workshops and exercises. The training I received was professional and practical and provided by a competent and knowledgeable engineer. A very good course and a great introduction to ANSYS.